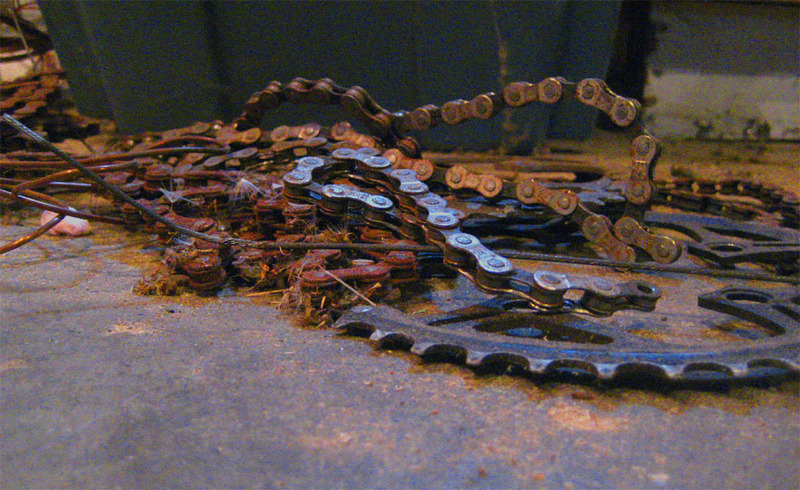 Mechawear was UpCycled bicycle chain bracelets, necklaces and ear rings with jewel-like enamel coloring. Mechawear was an entrepreneurial love of Norman Petersen (that’s me). Alas, selling jewelry is super, super hard and not very profitable (well, it wasn’t for me, anyway). While not much profit was made, we did raise a few thousand dollars for PIC and other worthwhile causes, so it wasn’t a total waste. The beautiful jewelry line has been retired, but other cool things are in store for the Mechawear brand. If you’re into mountain biking, give a listen to the MtbJumper.com podcast. You can check out another project of mine that’s all about faux painted wood grain. Pretty cool stuff.